SAP HANA is not just a traditional database; it is an in-memory data platform deployable on premise or in the cloud, that empowers you to accelerate business processes, deliver more business intelligence with advanced innovations and capabilities to run your business faster and simplify your IT environment. Customers are leaving behind the complexity that has built up over decades and are migrating to SAP HANA to unlock their business potential and transform their business for the digital economy. With more than 10,000 customers running on the SAP HANA, the stability, innovation and value SAP HANA delivers is well documented. 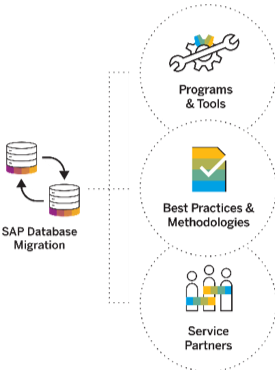 SAP offers a range of tools and services to simplify and accelerate database migrations and help customers during their migration journey to SAP HANA. Learn how you can minimize risk, decrease complexity and lower costs. We’re excited to announce a webinar series in which we’ll share customer experiences migrating to SAP HANA – tools and services they used, partners that provided expertise, and best practices from their journeys. We’ll show you demos of the process and discuss the steps taken to achieve a successful migration. We hope you’ll join us.